Saudi Arabia has given the four children of slain journalist Jamal Khashoggi’s children “million-dollar houses” and “monthly five-figure payments” as compensation for the killing of their father, the Washington Post reported. Larger payouts “possibly tens of millions of dollars apiece” as part of “blood money” negotiations could be offered in the coming months, the paper said, according to accounts by current and former Saudi officials as well as people close to the family, the Washington Post reported. Negotiations over further payments are expected to take place following the trials of Khashoggi’s accused killers, according to the officials and others who spoke to the paper on the condition of anonymity. Saudi operatives killed Khashoggi, a Washington Post contributor who was living in the United States, on October 2, 2018, at the Saudi consulate in Istanbul, where he had gone to collect documents for his planned wedding. Khashoggi’s body is yet to be found. His children, two daughters and two sons, have not criticised the kingdom, despite worldwide censure over their father’s murder. Saudi King Salman approved the “delivery of homes and monthly payments of $10,000 or more to each sibling” in 2018 as an acknowledgment that “a big injustice has been done” and a bid “to make a wrong right,” the Washington Post quoted a former official as saying. A Saudi official said the payments are in line with the long-standing Saudi custom of providing financial assistance to victims of crime. “Such support is part of our custom and culture,” the official said, according to the Washington Post. “It is not attached to anything else,” he said apparently dismissing allegations that the payments are being used to buy the family’s silence. So far Khashoggi’s children have each reportedly received $4m homes in Jeddah, in a compound where their eldest brother Salah lives. The three other children live in the United States and “are expected to sell their new Saudi properties,” the report said. The homes are apparently part of an initial settlement. Salah Khashoggi plans to remain in Saudi Arabia, which may be one of the reasons his siblings have not spoken out against the kingdom. His two sisters, Norah and Razan Jamal wrote their father was “no dissident” in a Washington Post opinion piece last November, that did not address who killed him or why. Salah would not comment on the financial discussions when reached by the paper on Monday. He is apparently the lead negotiator for the Khashoggi family. The brother of Crown Prince Mohammed bin Salman (MBS) and outgoing Saudi Ambassador to the US Khalid bin Salman is reportedly representing the Saudis in the matter. The Saudis have repeatedly denied that the crown prince had any involvement in the killing. US intelligence agencies concluded with “medium to high confidence” that MBS ordered it. Saudi officials describe the murder as a rogue operation that went wrong carried out by a team that intended to return Khashoggi to Riyadh. 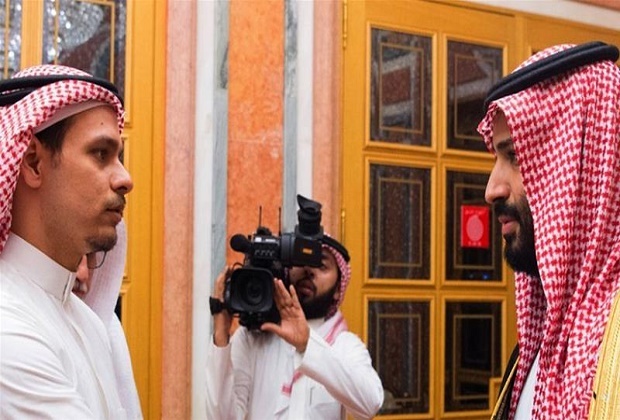 Top MBS aide Saud al-Qatani was part of the team and was dismissed soon after Khashoggi’s killing, although the crown prince reportedly continued to take advice from him as recently as January. If the men are convicted, that could pave the way for the Khashoggi family members to accept financial compensation as an alternate punishment. It is not clear whether they would have to pardon the killers to get the money. Such an agreement could also close the case under Saudi law, without ever MBS or senior aides believed to be involved in the killing from facing a trial. The court proceedings have been secret and fall short of international standards, a UN human rights expert has said.